A lot of people go through life committing to a career that they do not enjoy. Rather than doing something that they love, they end up doing something that they were forced to go to school for by their parents, or staying at a job that offers them a long term sense of security. However, doing something that you truly enjoy not only offers you a higher sense of self-fulfillment, but also allows you to excel to new heights through increased motivation and inspiration to overcome challenges that life throws at you. 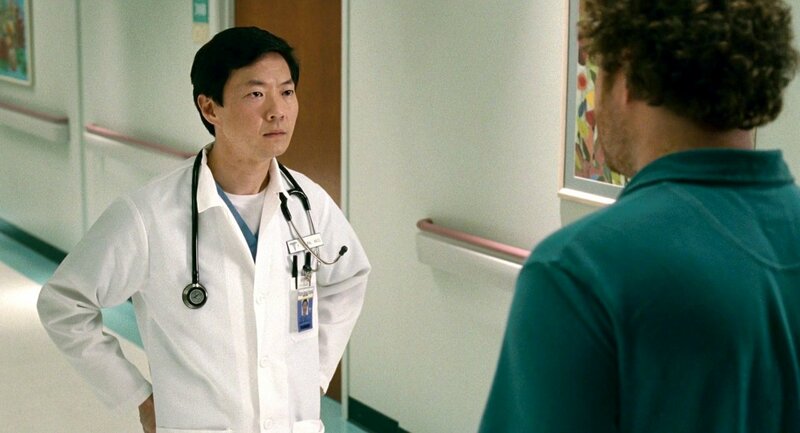 Many of you know Ken Jeong as the actor who plays Senor Chang from NBC’s hit sit-com Community and Mr. Chow from Hollywood’s popular series of Hangover films, the latest of which, (Hangover 3) will be premiering all across North America this week. What most of you probably don’t know is that Jeong actually went to medical school and to this day, is still a licensed physician in the United States. Jeong attended Duke University for his undergraduate studies and later on attained his medical degree from the University of North Carolina at Chapel Hill in 1995. He then completed his medical residency in New Orleans, at the Ochsner Medical Center. However, Jeong’s passion wasn’t practicing medicine, it was doing stand-up comedy. While completing his residency, Jeong moonlighted as a stand-up comic in local comedy clubs, and was actually good at it. Jeong’s father was a professor at the North Carolina A&T State University and you can only imagine the amount of pressure Jeong had growing up to pursue a career both secure and respectable. However, through hard work and dedication, Jeong gave his father a reason to be proud. As a result, when Jeong told his parents that he wanted to transition out of medicine and pursue acting full-time, they were extremely supportive of his decision. Jeong’s wife, Tran, struggling with cancer at the time, taught him that life is short and so he shouldn’t be afraid to take chances. With these words of inspiration, Jeong decided to take on the role as Leslie Chow in the first Hangover film, where billions of viewers saw him completely naked on screen. By pursuing his true passion of comedy, Jeong has taken his success to new heights, appearing in the second and now, third Hangover film. Jeong’s story is not the classic from rags to riches one, but rather the new age story of finding true happiness in life. Happiness doesn’t come from job security, how much money you make, how famous you are or how many friends you have. Instead, it comes from doing what you truly enjoy and letting your passion take control. It comes from overcoming challenging obstacles that you make for yourself, rather than taking the easy road in life. Happiness comes from finding and committing to something that you truly believe in no matter how many times you fail. Because at the end of the day, you have just lost 24 hours of your life so work towards making the next hours count. That was a sick article B…. !! !